Unlock any Sendo model whether recent or old. Keep the cell phone's warranty. How to unlock my Sendo phone with doctorSIM? Once you have requested your unlock code through doctorSIM, you will receive an e-mail with instructions on how to unlock your Sendo device. No technical knowledge or software downloads required. Unlocking your Sendo with doctorSIM is as simple as 1-2-3! Will unlocking my cell phone void the warranty? No. Unlocking your phone with doctorSIM doesn't affect the phone's warranty because the software and hardware of the phone are unaltered during the process. What do I need to unlock a Sendo? You need your cell phone at hand and be able to access the keypad and drop-down menus. You will also need to be able to use one of our many 100% secure payment methods (PayPal, credit or debit card, Apple Pay, cryptocurrencies such as Bitcoin, Bitcoin Cash, Ethereum or Litecoin, etc.) and have an e-mail address where we can send you simple instructions to unlock your phone. How many unlocking attempts does my Sendo phone have? 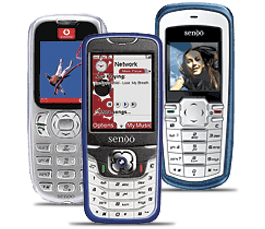 Sendo phones have unlimited unlocking attempts so you don't need to worry about that part of the process. You can request your unlock code by selecting the country and network carrier the phone is locked to. At doctorSIM, we only work with professional service providers that guarantee a working unlock code. On the rare occasions we cannot obtain an unlock code for your Sendo, we will issue you a full refund. Can I unlock my Sendo device if it has been reported or on the blacklist? Reports are additional security measures which prevent the cell phone being used normally and are not removed by unlocking the phone. If your Sendo has been reported stolen, lost or due to unpaid bills, you should contact the network carrier to which the phone is locked to remove the blocking. You can still unlock your phone with doctorSIM, but you will not be able to use it in the normal manner until it has been whitelisted. Can I unlock my phone with any network carrier? Yes. Our unlock codes are permanent and valid for all network carriers in all countries. Once you've unlocked your phone with doctorSIM you never have to worry about it again. Can I unlock any model of Sendo cell phone? doctorSIM can unlock all Sendo cell phone models. You don't need to specify the exact model because the unlocking instructions are the same for all. Just make sure you note down the IMEI number correctly and specify the network carrier the phone is locked to. This is easy and we'll show you how when you request your unlock code. Safely unlock your Sendo online. Unlock your cell phone fast in three easy steps. Fully legal IMEI-based unlocking services. Your Sendo will be unlocked permanently. You will not lose the warranty of your Sendo. Quality controls guaranteeing your personal information is secure. Our permanent unlock codes also work abroad. Unlocking services valid for all Sendo models. doctorSIM is the premier unlocking company in the world.